La chute de l’empire américain Directed by Denys Arcand, 1991 Directed by Ricardo Trogi, Faits Divers 2, Sovimage, Jouliks, Films Vision 4 CINÉMA, L'Échapée, Amalga TÉLÉVISION, JACK RYAN; BLOOD & TREASURE; X-MEN; THE BOLD TYPE Seasons 1 -3; White House Down; Warm Bodies; Being Human; Da Kink in my Hair; Naked Josh; On the Road; The Day After Tomorrow; The Mummy; Breakfast with Scot; Last Exit Category 8; “O”; Les Boys III; Tout sur moi; L’auberge du chien noir; Gentleman; Rumours; Providence; Destinées; Belle Baie; Unité 9; 30 Vies; La Trace; Mirador; Camion and many more. SAAQ; McDonalds; Winners; Van Houtte; Wonder Bread; Brault and Martineau; Danone; Pepsi Max; Loto Québec; Capital One; Viagra; Bell Canada; Néostata; Volks Wagen; STM; Via Rail; BMO; SAQ; Tim Hortons; Milk; Scores; M&M Foods; Kijiji; St. Hubert; National Bank; Dairy Farmers; Bell Canada and many more. Wonder Bread; Desjardins; VICHY; Via Rail; Naf Naf; Air Canada; National Bank; La Presse; Budweiser and many more. Over the years, we continue to work with UBISOFT for motion capture, Casting Directors all over Canada and have recently been in contact with the UK. 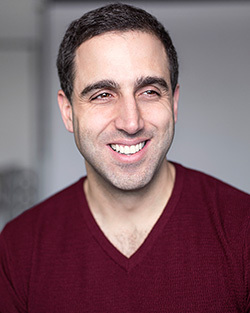 As an Agent for the past 20 years, I have learned so much thanks to the relationships I am fortunate to have built with Casting Directors here in Montreal. They have been there from the beginning and have not once shut their doors on me. We have also built a relationship of trust with Production houses, Directors and Producers within the industry. The job of an Agent is to have passion, encourage team work with the Actors we represent and at the end of the day we have to have the same objectives. TEAM WORK!